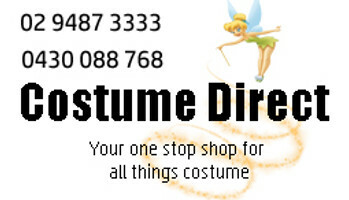 Pirate Costumes and Accessories for adults and kids with fast shipping Australia wide! Yo ho ho and a bottle of rum, a pirate's life for me! Whether you want to dress up as Captain Jack Sparrow, a pirate from Treasure Island or the Pirates of Penzance, you'll find a multitude of dashing costumes here! Perfect for 'International Speak Like a Pirate Day' (the 19th of September) or just a themed party,our costumes come in a variety of sizing and styles and you’ll be delighted by the quality. To finish off your look, we have a huge range of great accessories such as cutlasses, eye patches, wigs, beards, boots, bandanas, pirate shirts, pirate blouse and much more.